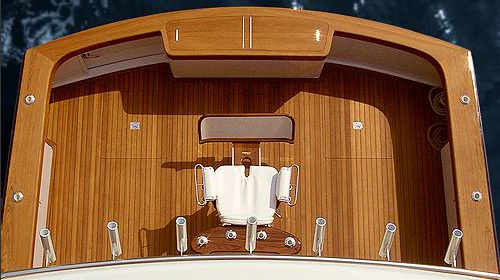 MARITIME Custom Teak Decks are made from patterns for each individual yacht. Deck sections are made up to 40 feet long. Planking can be straight-laid, or sprung to shape. 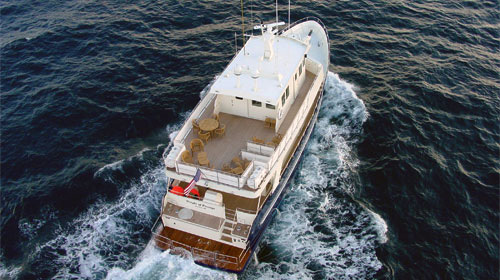 We provide for king planks, margin boards, hatches and other deck fixtures. Decks of any width can be made by joining sections at caulk seams. The completed custom deck is delivered to your facility pre-assembled, pre-trimmed, and ready for final fitting and installation. 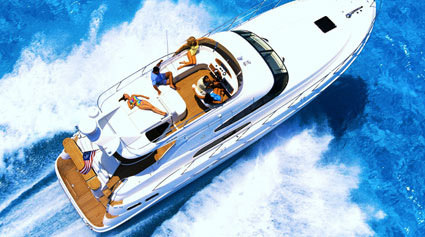 Maritime Wood Products consistently delivers the finest and most well thought-out deck systems. Contact us to learn more about our services. 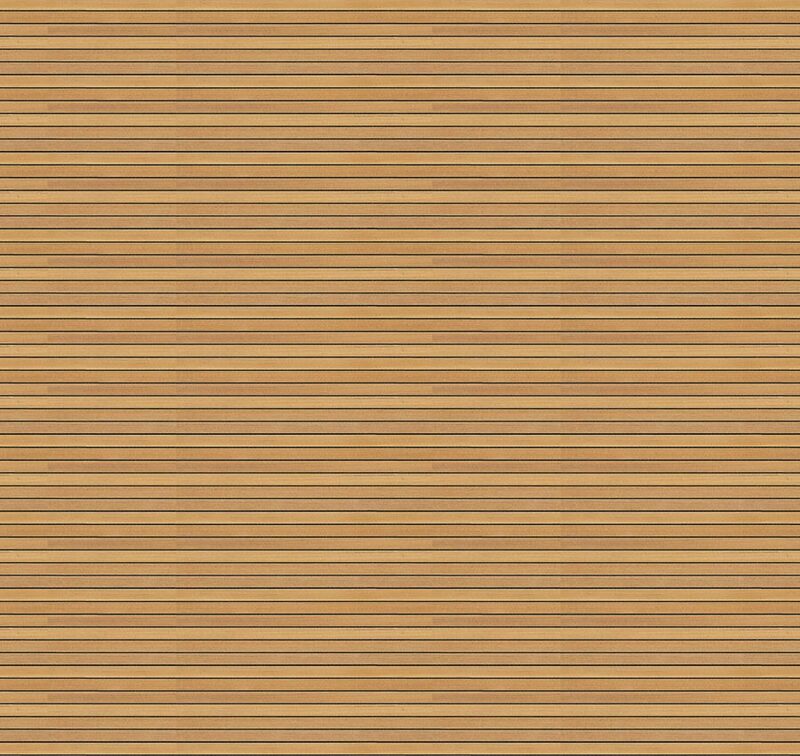 MARITIME Teak Deck Panels are manufactured in rectangular sections to your bulk size specifications, and sanded to a uniform thickness. You provide the cutting and fitting at your facility, and the panels are then ready for installation. If you have skilled carpenters available, MARITIME Teak Deck Panels are a cost saving alternative to a MARITIME Custom Teak Deck. We work closely with production boat builders to provide everything needed for the successful installation of our products. We can visit your facility and help design, engineer and pattern a custom fit deck for your application. We work within your production schedule and are responsive to time-sensitive orders and changes. MARITIME™ Teak Deck Kits come pre-caulked and ready for installation. Maritime Wood Products supports Just In Time (JIT) inventory and delivers decking systems that improve manufacturing efficiency and quality. Contact us for more information. 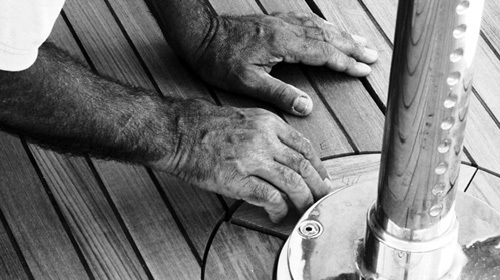 Our controlled manufacturing environment provides ideal conditions for building teak decks, caulking, and sanding. We fabricate our custom teak decks and teak deck panels either with or without a substrate (i.e. backing material), depending on application. 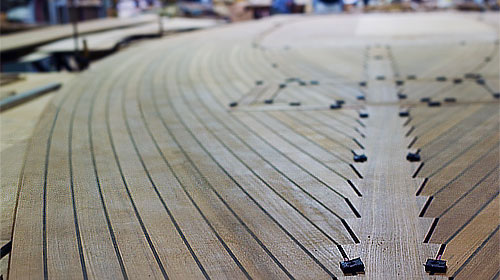 Seams are caulked to the full depth of the planking for the longest possible deck life, and the panels are then sanded to a uniform thickness. Our standard plank width is 1-7/8". The caulk seam is 3/16" wide. Other widths are available upon request. Our standard deck thicknesses are 1/4", 3/8" and 1/2". Other deck thicknesses are also available upon request. MARITIME Custom Teak Decks and Teak Deck Panels eliminate the need to tediously hand lay a deck plank by plank. They represent a major savings in on-site skilled labor hours and fabrication materials waste. And they speed up installation for both new construction and refits, freeing valuable space and dramatically reducing the time a vessel is out of service. To prepare a deck pattern that ensures your deck will be built as planned, please contact us to receive detailed deck pattern instructions. For More Information & Useful Installation Tips Please Call 800-274-TEAK. 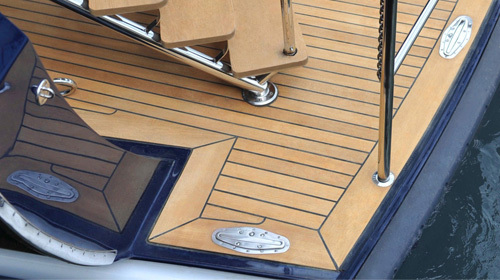 We custom build teak grates to patterns or specifications for deck applications such as swim platforms, cockpit/helm stations and bow pulpits. We also sell notched and flat teak grating stock in 1" and custom thicknesses for builders fabricating their own teak grates. Our decking experts pre-plan all elements of your project, delivering the most functionally elegant and visually superb deck systems.